Make the most of your visit to historic Chester and save money with a great value open top bus and city river cruise tour of Chester. Meeting at 9:45 in the car park at Tesco, Parrs Wood, East Didsbury,. If you would prefer to meet us there, the tour starts at 11am from The Boating Station, Souters Lane, The Groves, Chester, CH1 1SD. Make the most of your visit to historic Chester and save money with a great value open top bus and city river cruise tour of Chester. 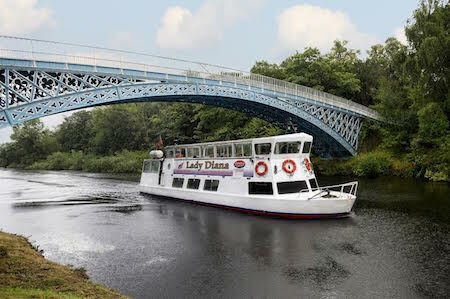 With a joint ticket you can join the thirty minute river cruise of Chester and experience an open top bus tour. With a “Hop-on-hop-off” ticket you can see all of the famous sights for 24 hours, giving you the freedom of the city. The bus stop is right next to the docks. Tickets are £13.50, payable on the day.